SEOUL, South Korea — If North Korean leader Kim Jong Un was searching for the perfect propaganda set piece, something designed to show his people that he's a strong leader pushing inexorably for the long-delayed, long-promised prosperity they deserve, then visiting South Korean President Moon Jae-in might be providing him with a unique opportunity. 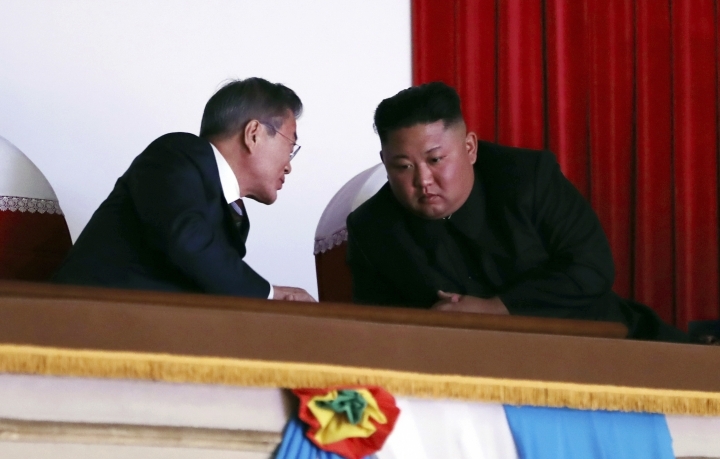 Moon believes that his deep engagement with North Korea is crucial after last year's fears of war, when Washington reacted with fury to a torrent of ever-more-powerful North Korean weapons tests. He argues better ties with North Korea will help South Koreans, and the region, by settling the standoff over the North's pursuit of a nuclear arsenal designed to target the U.S. mainland. But his engagement push, which includes bringing some of South Korea's most powerful business tycoons to Pyongyang, North Korea's capital, strikes some observers as also boosting Kim as he tries to show his citizens that he's pivoting to economic improvement and — crucial yet unspoken — raising his impoverished nation up to South Korea's level, after his claim last year to have completed his nuclear arsenal. 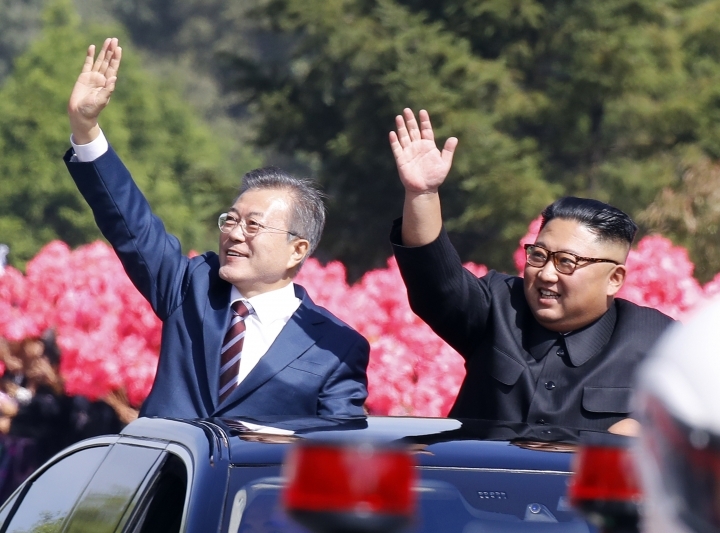 Throughout the first day of Moon's three-day trip to North Korea, the South Korean leader could be seen grinning broadly as he and Kim enjoyed the ecstatic reception of a Pyongyang that seemed to have been painted, polished and framed until it was the best possible version of itself — on the video that South Korean media traveling with Moon captured and beamed back to Seoul, at least. 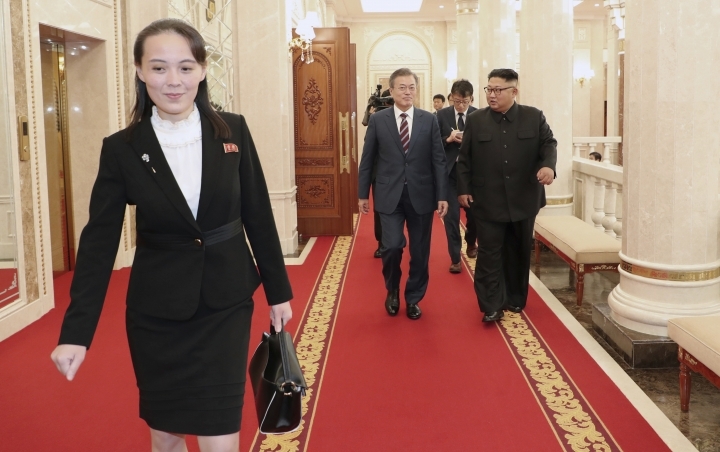 Consider one telling scene, not long after Moon's arrival Tuesday, when cameras caught Kim and his sister, Kim Yo Jong, who acts as her brother's chief propagandist, both maneuvering Moon so that he had the perfect view — and could be perfectly seen on a reviewing stand, Kim by his side — as an honor guard of goose-stepping troops armed with bayonet-tipped rifles marched by. 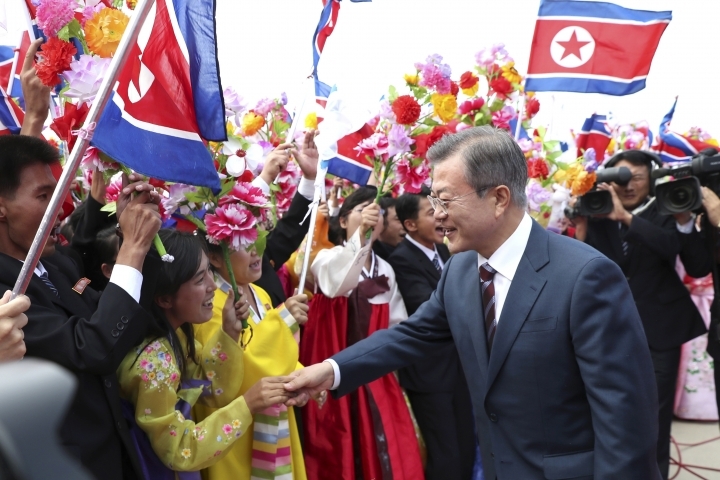 A little later, Moon waded into the crowd of elite North Korean citizens who'd been brought out to welcome him, shaking hands with some and then deeply bowing amid wild cheers. 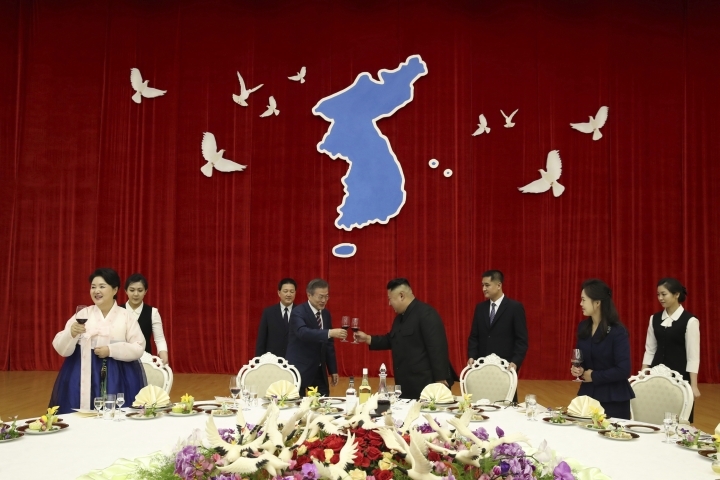 Even the venue for one of the leaders' meetings — the ruling Workers' Party headquarters, where Moon signed a guestbook near a map depicting a single, undivided Korea — will play well with a delighted North Korean public. 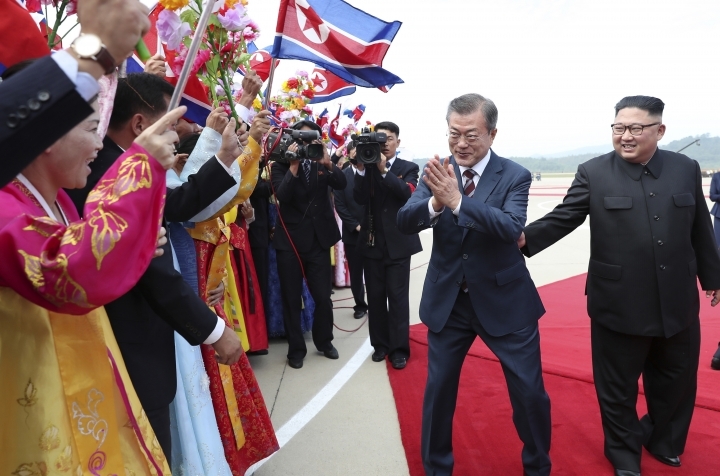 The optics of Moon's visit to Pyongyang are "reminiscent of the Chinese emperor receiving tributary missions — with a pan-Korean ethnic nationalistic twist — the Son of Heaven graciously receiving the barbarian envoy, dazzling the visitor with opulence, grace, and power," according to Sung-Yoon Lee, a Korea expert at Tufts University's Fletcher School. 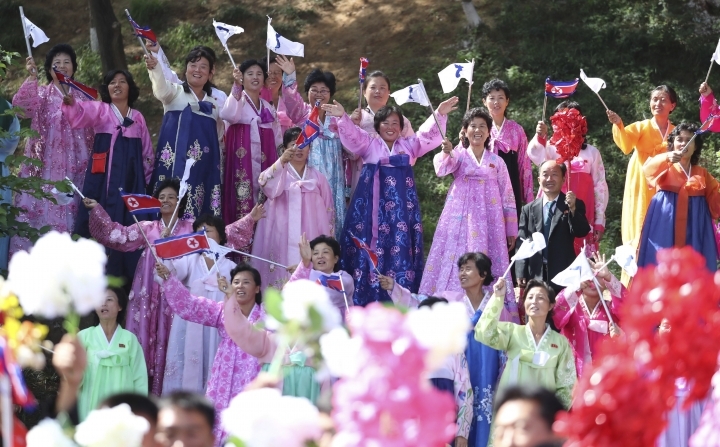 North Korea, Lee said, portrays all visits by foreign heads of state as reflecting on the "manifold virtues of the Great Leader," and that's especially true of "a Pyongyang pilgrimage by the leader of the illegitimate Korean state" to the south. Moon's office downplayed worries that North Korea could use his visit as propaganda, saying the enthusiastic welcome for Moon should be "seen just as it is." 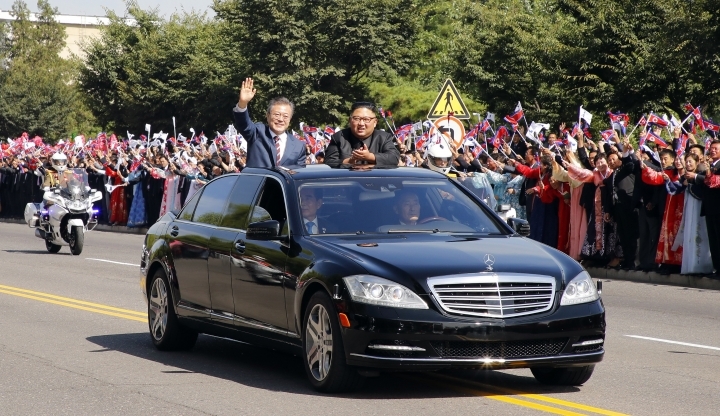 The images of Moon being led through Pyongyang by Kim will likely be picked over, edited and shown repeatedly on North Korean state TV. Moon's trip will also become a centerpiece of North Korea's propaganda specialists as they promote an ideology of race-based nationalism that describes North and South Korean people as one nation, temporarily divided, according to Nam Sung-wook, a North Korea expert at Seoul's Korea University. The North has repeatedly used this ideology to back its demand that the South split from its alliance with the United States. 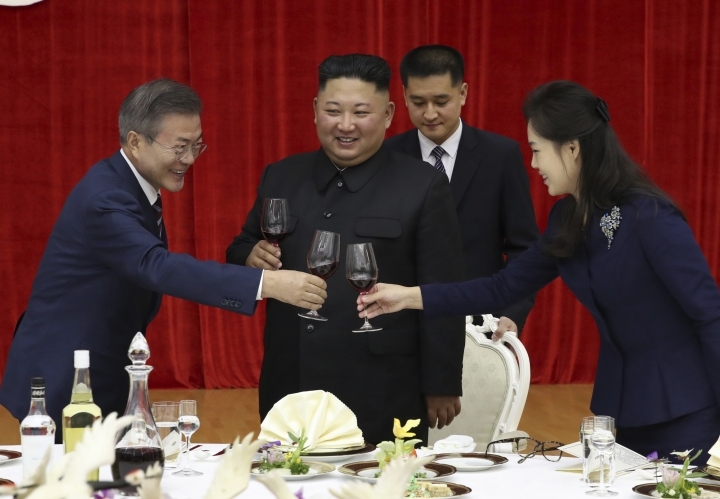 "The lavish welcome for Moon will be used to push an image of the Koreas as belonging to a single nation and create detachment between Washington and Seoul," said Nam, a former official in South Korea's spy agency. Moon's office said Seoul and Washington are at all times maintaining close communication over North Korea. 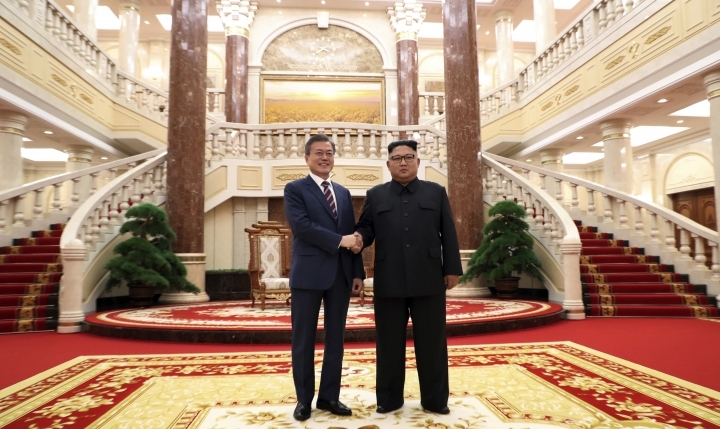 Nam also said that the visit will help restore the pride of North Koreans, who have been promised economic prosperity after a devastating famine in the 1990s and a steady focus on building the military. Vipin Narang, a North Korea expert at MIT, said Kim's efforts this week fit into his new strategic line. "Nuclear weapons and ballistic missiles are quietly being mass-produced but Kim won't flaunt them. All attention and focus is on economic development," Narang said. 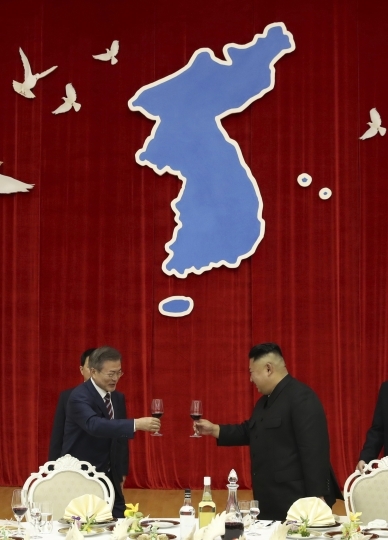 There's speculation that the scale of the political theater could grow even grander on Wednesday, the second day of the summit, with North Korea possibly engineering one of its huge mass games spectacles for Moon. 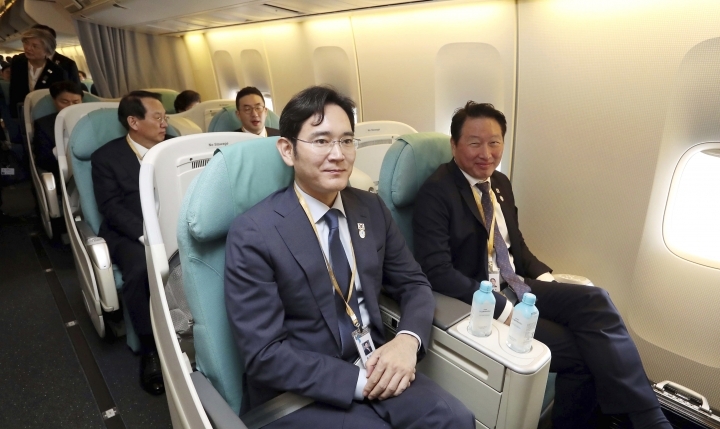 The North is being treated to a veritable who's who from the world of high-powered South Korean business leaders, many of whom could be seen lining up to get on Moon's plane for Pyongyang on Tuesday, some looking a little taken aback at having their IDs scanned by a security person. 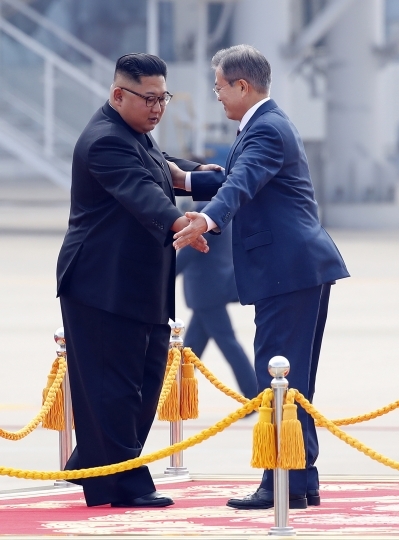 Moon, meanwhile, during his welcome in Pyongyang, looked "like a child in a candy store — wide-eyed, all smiles, bowing to the North Korean people gathered at the airport, and with a retinue of (business leaders) eager to make gifts in the billions of dollars," Lee, the Korea expert at Tufts, said. "It's all grand theater, North Korean style."